A pair of West Maui properties have taken emergency measures to halt the growing shoreline erosion that threatens their buildings. The Sands of Kahana Resort and the Ka’anapali Beach Hotel received special management area emergency permits last month to install protective materials along the shoreline. Both are allowed to keep the measures in place for 180 days while they come up with long-term solutions. Slowly but surely, the ocean has crept up on the Sands of Kahana, which sits along a bay consistently impacted by big waves passing through the channel. Over the years, efforts to protect condominiums and resorts have had domino effects on their neighbors, Buika said. A seawall at the Pohailani Maui Resort pushed waves south toward the Hololani Resort. When Hololani tried to protect its shoreline with sandbags, the waves started eating away at the neighboring properties, until the Valley Isle Resort, Royal Kahana and Sands of Kahana all started to see erosion. Big storms in the spring of 2016 didn’t help. 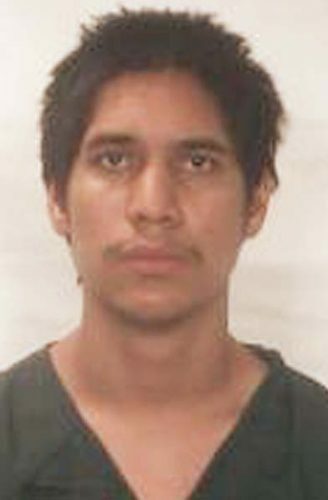 “It’s just been a tough chain of events to break the cycle,” Buika said Tuesday. Downed palm trees serve as evidence of the eroding shoreline in front of the Sands of Kahana Resort last month. An emergency permit allowed the Sands of Kahana to place protective fabric and sandbags along the shoreline. Over the last two months, rapid erosion has occurred in front of Building 3 at the Sands of Kahana, to the point where the erosion is 17 feet from the building. Buika, staff planner Keith Scott and Tara Owens, shoreline hazards specialist for the University of Hawaii SeaGrant, visited the Sands of Kahana on Nov. 27 and observed “significant erosion.” Pictures documenting the erosion throughout December convinced the county and the state Department of Land and Natural Resources that emergency work was necessary. The permit, which Buika said was issued Jan. 25, allows the Sands of Kahana to install 3,500 square yards of geotextile filter fabric along 100 feet in front of Building 3, as well as 300 ElcoRock sandbags filled with 300 cubic yards of sand-sized fill material. Tensar marine mattresses filled with 16 cubic yards of basalt stone also can be placed at each end of the sandbag structure. Meanwhile, the Ka’anapali Beach Hotel is facing erosion in front of the hotel’s Molokai Wing. The waves have come up to within 20 feet of the building and are starting to undermine the beach walk. Approval for emergency work was granted Jan. 16, allowing the hotel to install sand-filled mattresses along the shoreline fronting the Molokai Wing. 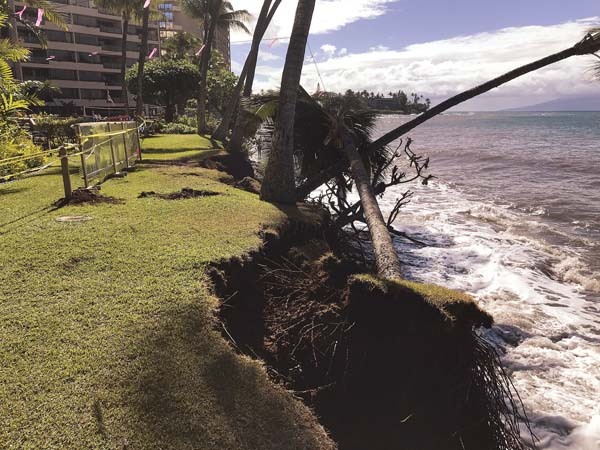 Hotel General Manager Mike White said Tuesday it’s “been about 25, maybe 30 years since we’ve had this level of erosion.” Kaanapali Beach erosion is seasonal. Winter swells take the sand south, and the summer swells bring it back up north. Both properties have to either remove the temporary measures after 180 days or apply for a special management area permit to keep them installed for longer, Planning Director Will Spence said Tuesday. If the measures cost less than $500,000, the Planning Department makes a decision internally. Anything more than that requires a public hearing. Scott came before the Maui Planning Commission on Tuesday to inform the panel about the issuance of the permits. White said he hadn’t gotten the bill for the work yet, but estimated it would cost $80,000 to $100,000. As for whether he wanted to keep the sand mattresses in longer, White said he’d “have to play it by ear.” Kevin Blair, president of the Sands of Kahana Association of Apartment Owners, could not be reached for comment Tuesday afternoon. 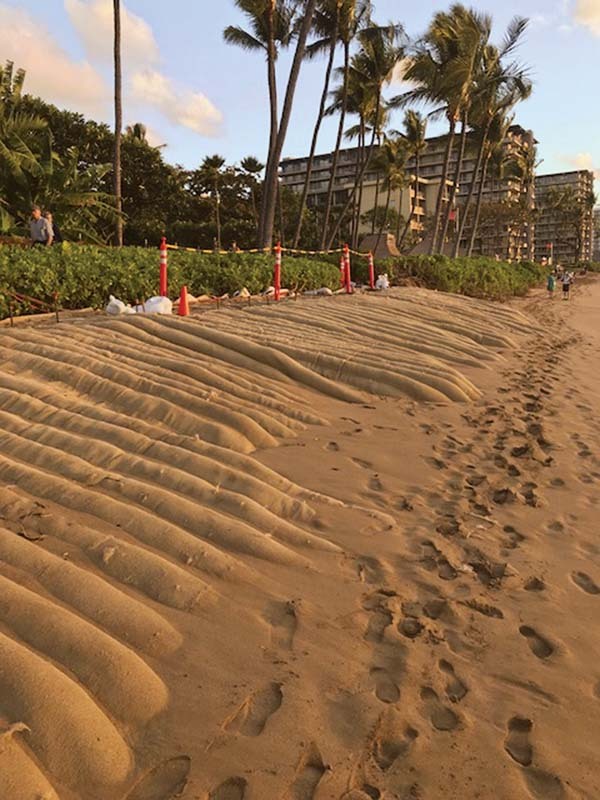 Both the Sands of Kahana and Ka’anapali Beach Hotel are participating in beach renourishment programs. The Ka’anapali Beach Hotel is part of the Kaanapali Operations Association that is in the middle of an environmental impact study on beach renourishment. Once that’s completed, sand could potentially be returned to the beaches in the fall of 2019 or 2020, Buika said. Over the past year, the Sands of Kahana and its neighbors have gotten together to discuss an EIS on restoring the beaches in front of their properties. They hope to get the study and the permits done over the next 18 months, Buika said. Another idea is to create a special improvement district that would tax the condominiums within a certain area to help pay for beach renourishment. Two years ago, a county-funded study discovered plenty of usable sand in the waters off of Pohaku Park, also known as S-Turns, where much of the eroding sand has probably settled, Buika said. It isn’t cheap for condominiums to maintain temporary protections and repair damaged property, and both residents and the county are eager for solutions.